On Start, Genesis OPC Explorer 3.1 displays a Welcome screen, summarizing the current registration status. 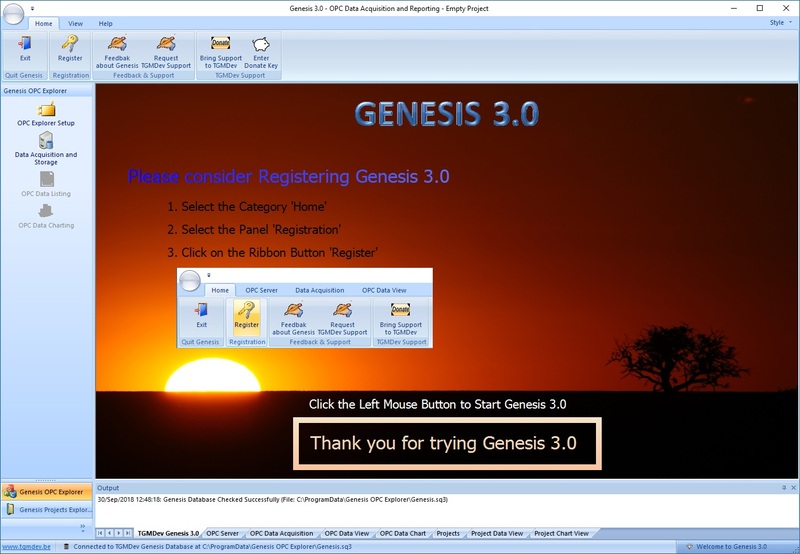 Registering Genesis OPC Explorer 3.1 is free. But it is your first step to bring support to TGMDev !!! 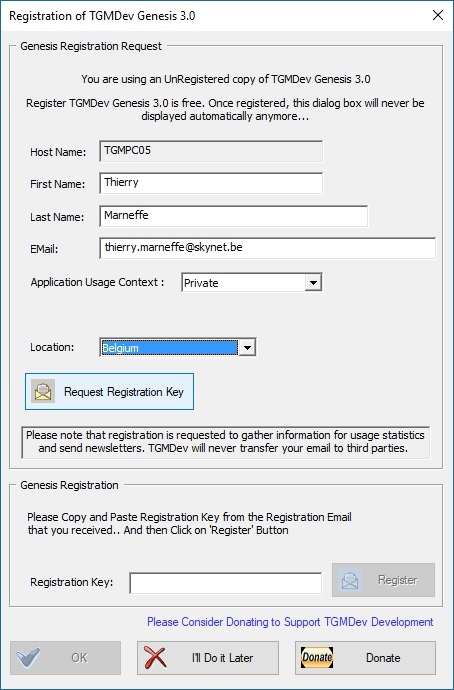 The registration is used by TGMDev to gather information for usage statistics and send newsletters. TGMDev will never transfer your email to third parties. 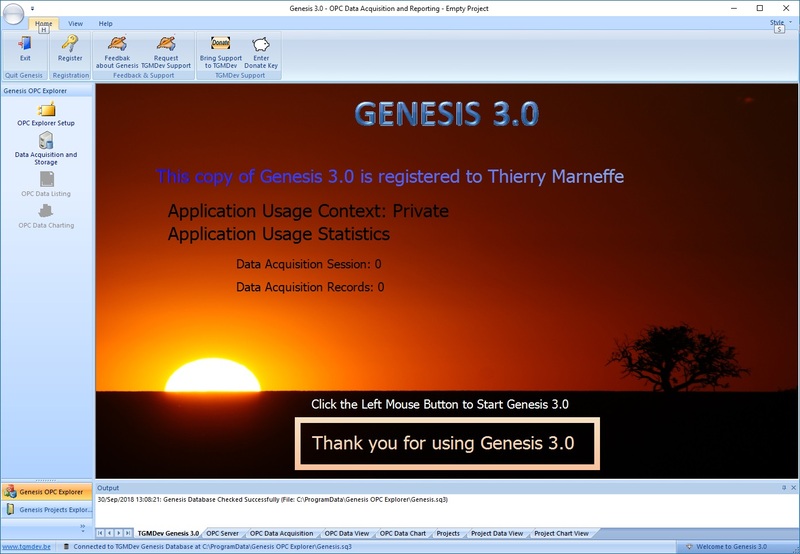 Quit Genesis OPC Explorer 3.1 On Exit of the application, unregistered users are invited to register Genesis OPC Explorer 3.1. 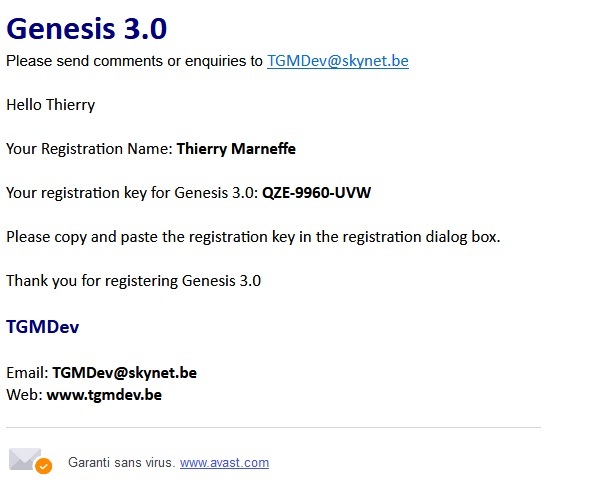 Email Adress : Note that a mail will be sent to the TGMDev Server to record registration and send registration code back to sender, so invalid email won't allow a valid registration !!! You can always postpone the registration by clicking on 'I'll Do Later'. The Registration can be activated during a next session. You don't have to wait for the registration mail. 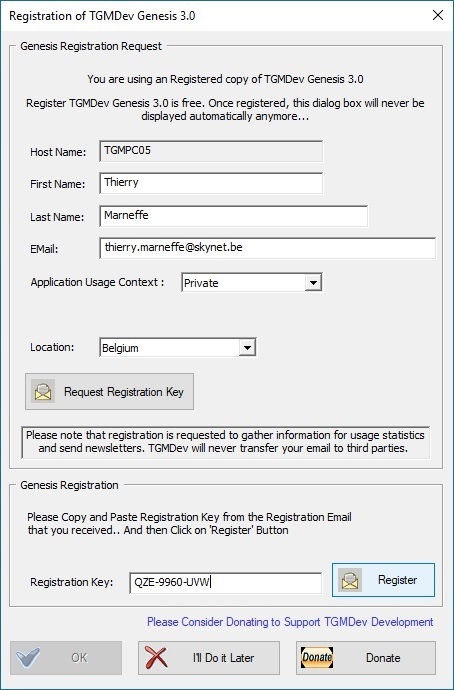 On the next sessions, Genesis OPC Explorer 3.1 will display a Welcome screen, summarizing the effective registration status.